A lightweight, monogrammed girl's hoodie! Perfect for Spring days or cool Summer evenings. Casually cool, this hoodie adds a light layer to any look. This darling zip up sweatshirt makes a great personalized gift for junior bridesmaids, flower girls and birthdays! 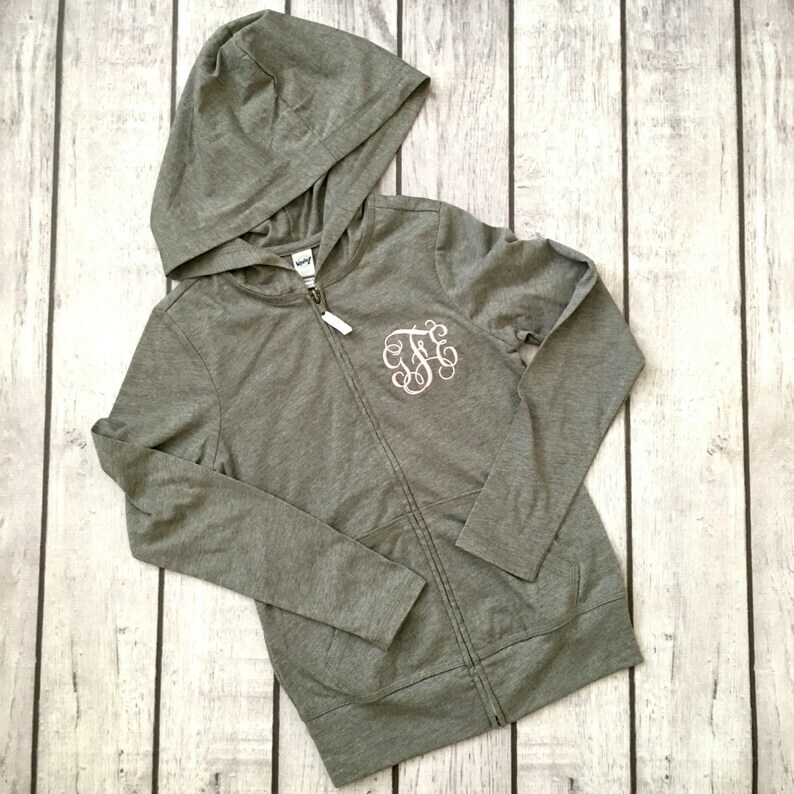 Hoodies are available in many colors and the monogram can be embroidered in a thread color and font of your choosing. They look great. I can't wait to give them to my girls. My daughter loves her new jacket. It’s a perfect weight for southern fall weather! Pink dress with monogram. Cute pink monogrammed outfit for baby, toddler, girl. Light Pink Ruffle dress with Embroidered monogram.